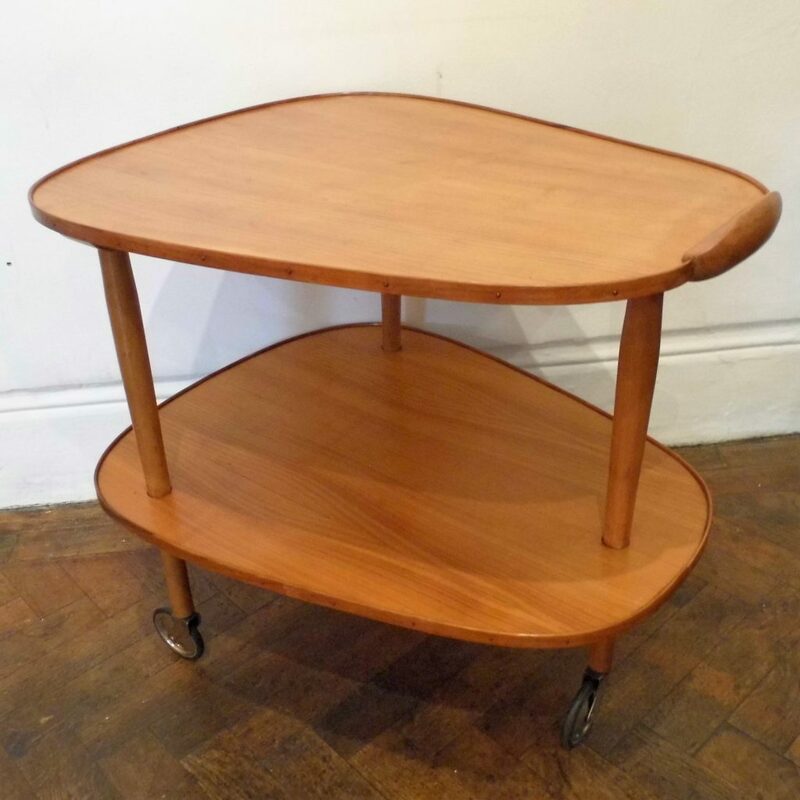 An attractive 1950s Birch Trolley from France. 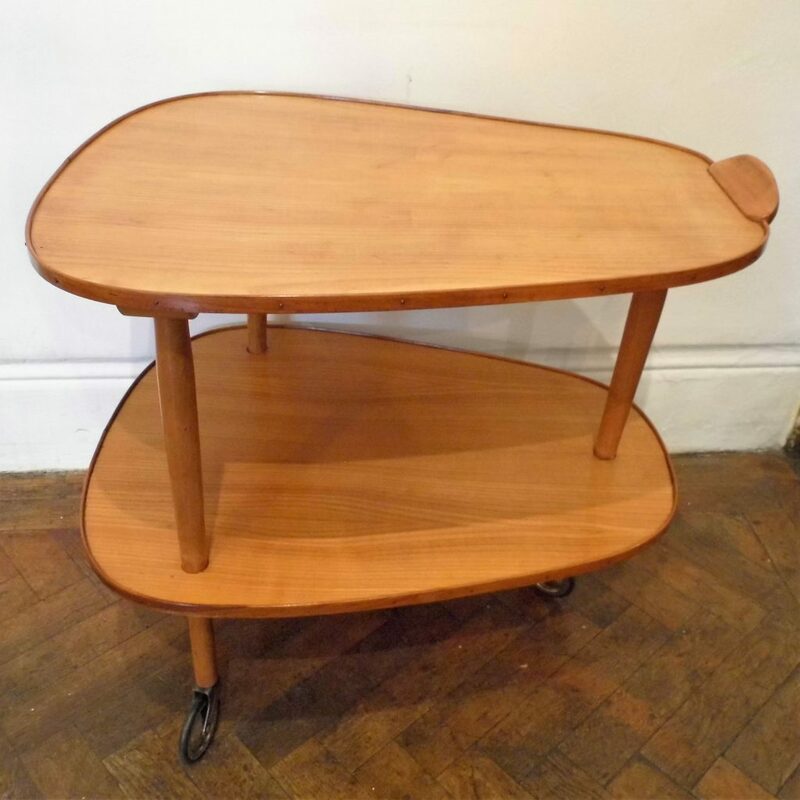 This is a nicely shaped Mid Century two tier trolley in honey coloured birch. This trolley is in good vintage condition with very few minor blemishes and functions well. The trolley measures cm wide by cm high by cm deep.